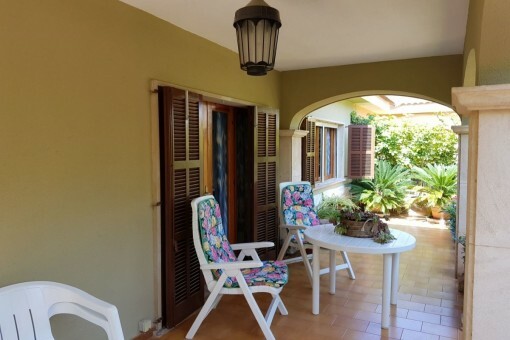 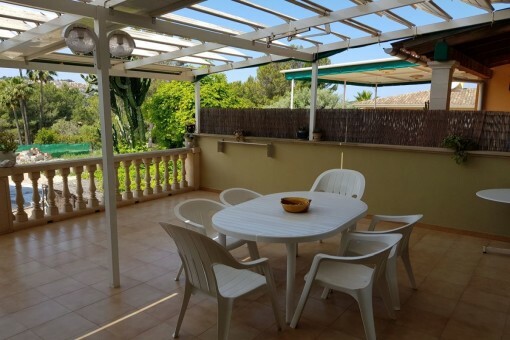 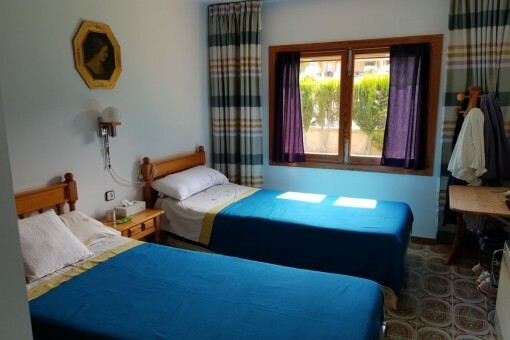 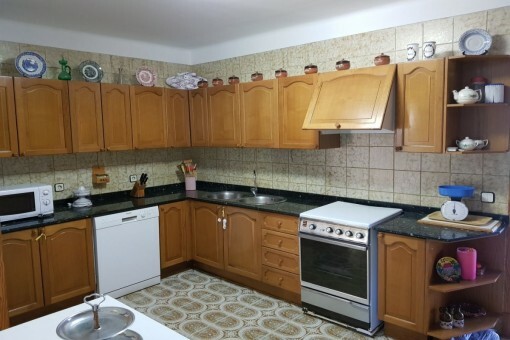 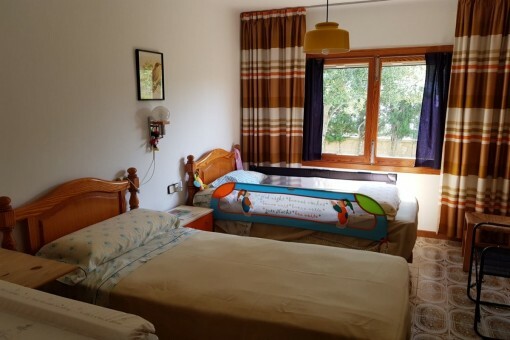 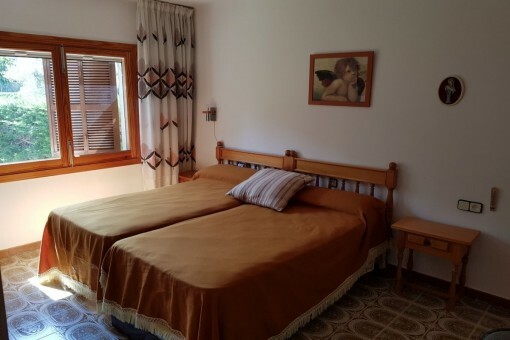 This terraced house is situated in a very quiet area in the urbanization of Nova Santa Ponsa, although very centrally located and close to all amenities. 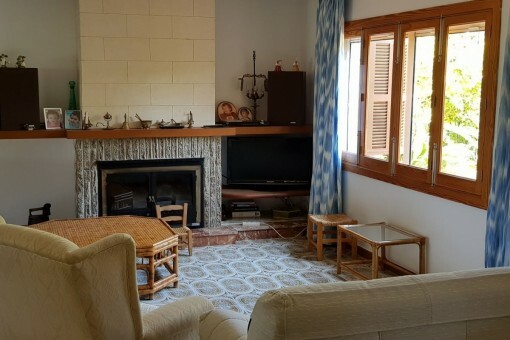 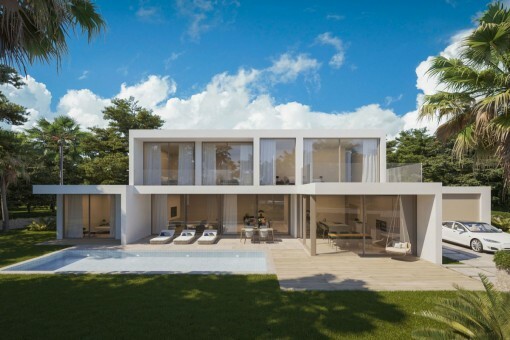 Spread over only one level the house consists of a spacious living/dining area with fireplace and access to a south-facing terrace with awning protecting it from the sun on the hottest days of the year, a kitchen with pantry, 3 double bedrooms, a single bedroom and 2 bathrooms. 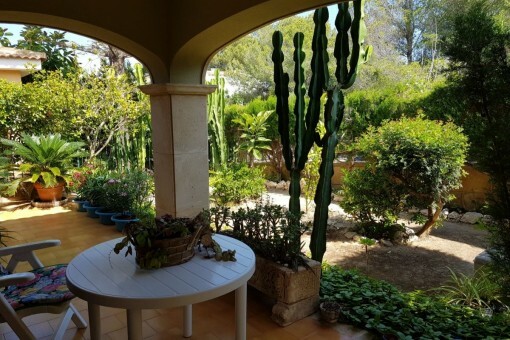 The garden has ample space for children to safely play, and there is even a platform where a small pool or a jacuzzi could be installed. 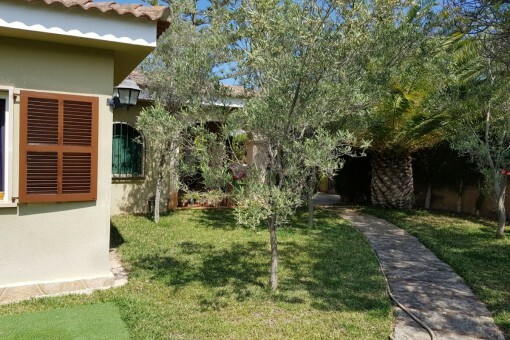 From the street a flat ramp leads to the double garage, and there are numerous, very spacious storage rooms. 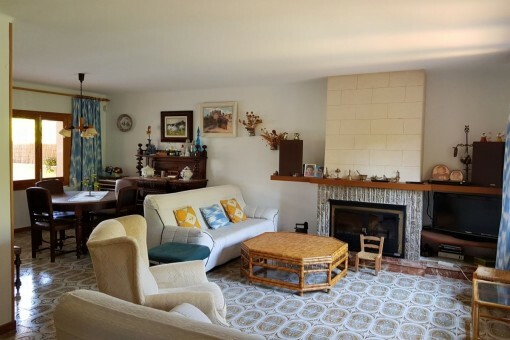 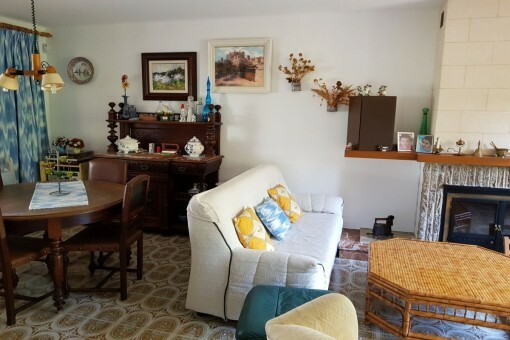 With some renovation this property could be brought up to current requirements, and renewal of its furnishings and fittings would change it into a wonderful, functional and low-maintenance object to occupy during holidays or also all year round. 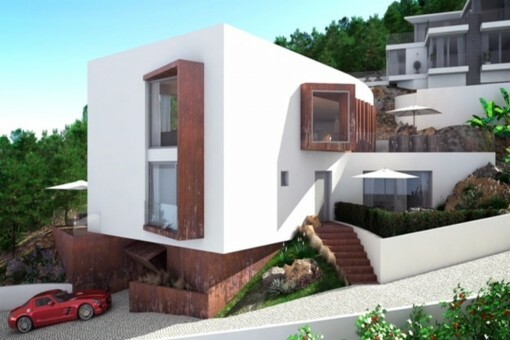 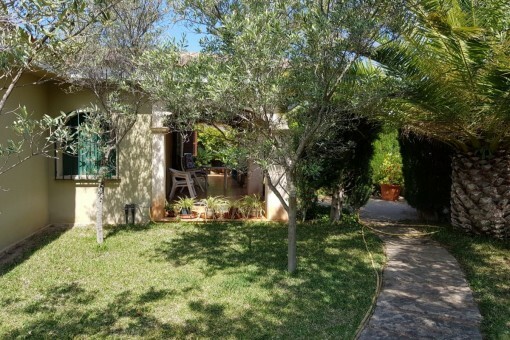 I'm interested in: Quietly situated terraced house with a lot of potential in Santa Ponsa (Objekt-Nr.111371). 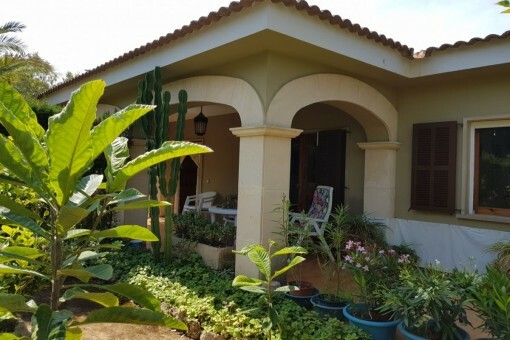 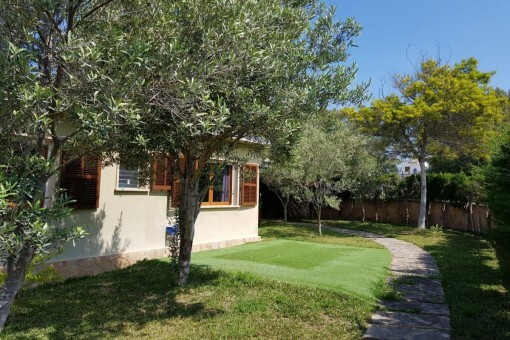 you are reading: Quietly situated terraced house with a lot of potential in Santa Ponsa-purchase · Porta Mallorquina Real Estate Rating 4,8/5 by 200 testimonials.